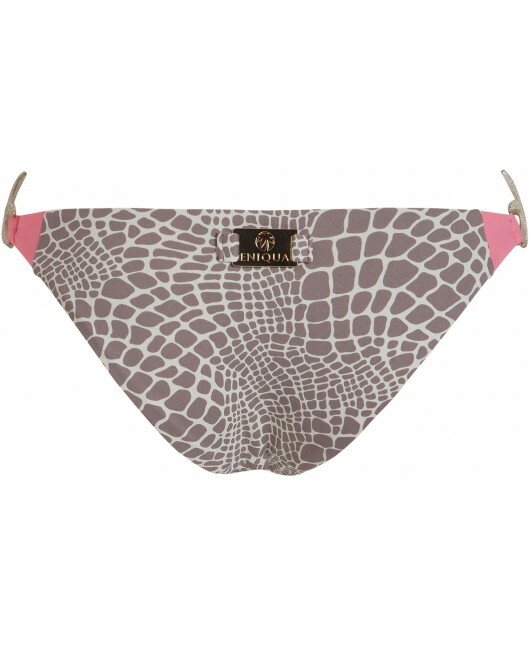 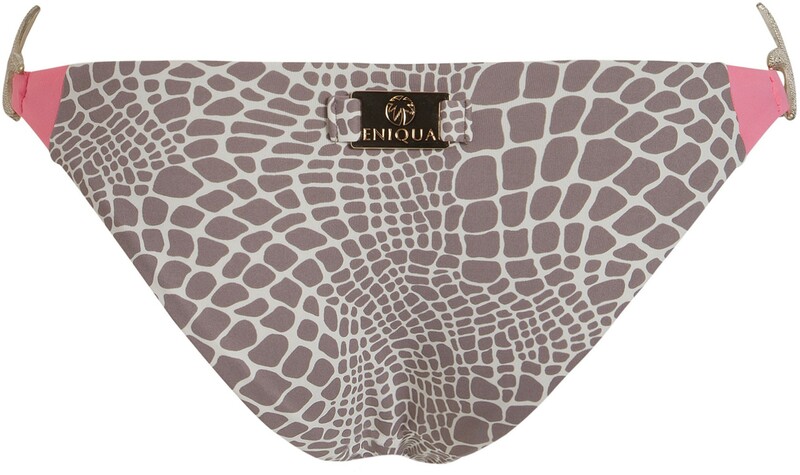 A triangle bikini with a unique warm gray croco print and baby pink highlights. 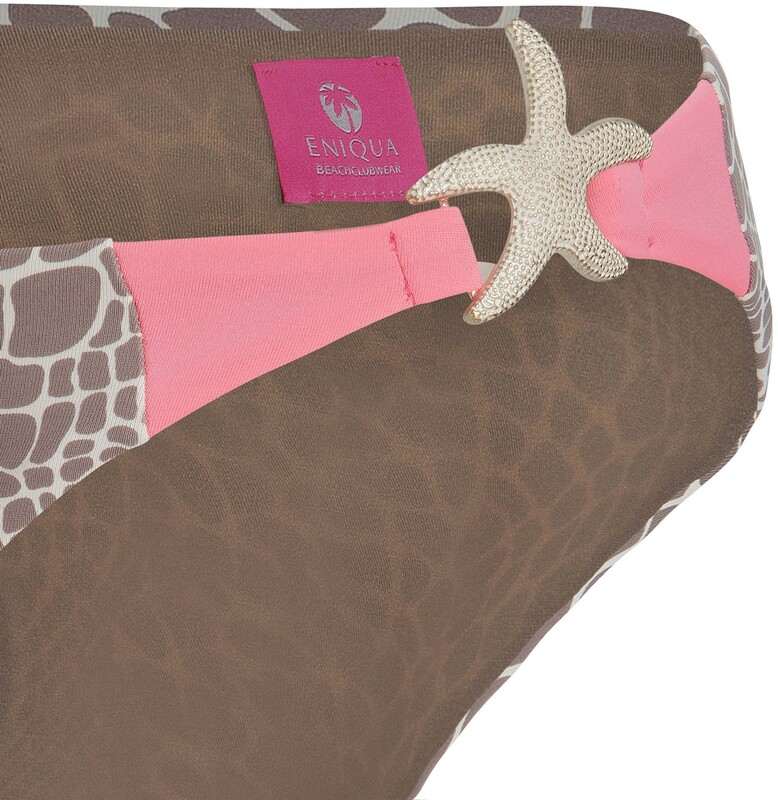 The bottom is embellished with a beautiful small starfish element. 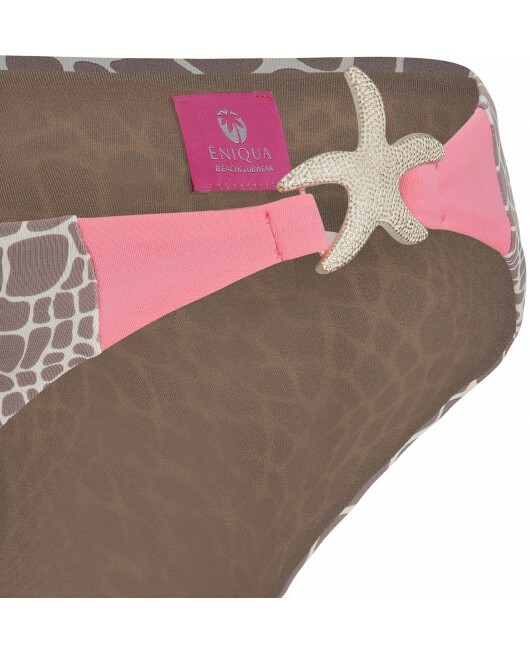 The push up top has removable pads.